Jhajjar campus to Delhi via Gurugram. The new proposed route, which is at the concept stage, will start from Dwarka Sector 21 metro station and pass through Dwarka Expressway to reach Badsa in Jhajjar. The AIIMS (Jhajjar campus) will be India’s largest cancer institute and metro connectivity is expected to ease the movement of patients. On April 10, 2019, the first field inspection was conducted to identify the route alignment of the project. The government of Haryana, along with DMRC officials, will conduct traffic and technical feasibility surveys before preparing a project detail project report (DPR). The cost of the project is expected to be shared by the state and Union governments. It may take a few years for work on this project to start. HSVP executive engineer Anil Kumar. 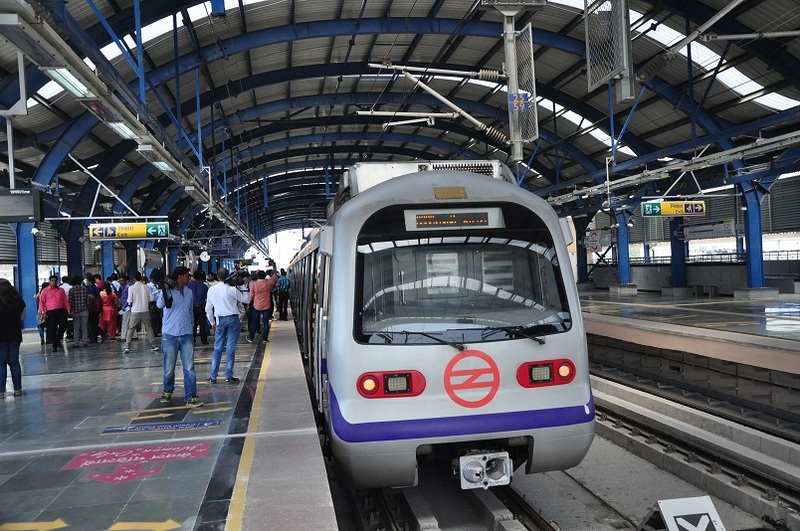 The officials assembled at Dwarka Sector 21 metro station at around 9.30am for the inspection, from where they went to Badsa in Jhajjar via Dwarka Expressway and Dhankot, checking the 23km-long route for the availability of land and obstacles. “The project is at the concept stage. we conducted the first field inspection,” said Khare, adding that before a DPR is prepared, the government will conduct a traffic survey to determine the expected traffic, besides technical and financial viability surveys. “The route is expected to go along existing roads either on the ground or above it”. said The Gurugram DTP. Mr. Batth said that Obstacles and challenges would be identified at a later stage. the route will also cross the Gurugram Water Canal at some place he added. Hundreds of residential and commercial projects are coming up along Dwarka Expressway, with the large numbers of people who will move into new sectors expected to benefit from the metro line. According to sources, there are enough green belts and land along Dwarka Expressway for the route, though it may face land hurdles in Delhi and along Jhajjar road, neither of which has green belts. On June 24, 2018, chief minister Manohar Lal Khattar, in the presence of PM Modi, had proposed the metro route connecting Dwarka to AIIMS Jhajjar while inaugurating the Bahadurgarh metro route. The foundation stone for the 710-bed AIIMS Jhajjar was laid by the previous prime minister, Manmohan Singh, on January 3, 2014. In December 2018, the hospital’s OPD facility was inaugurated. The hospital is expected to be fully operational by December 2020.